LANCO brings their “exuberant concert persona” (Billboard) back home for the band’s first-ever headlining Nashville show at 3rd & Lindsley on March 1. Wrapping a 21 date cross-country run on the Dirt Rich Tour with Brothers Osborne, emerging group LANCO prepares to kick off a loaded Spring schedule with the Music City performance. Tickets are available HERE. Quickly gaining recognition for “delivering a high-energy, interactive performance” (The Red & Black), LANCO continues their own club shows and also joins Dierks Bentley, Kane Brown and more for Spring 2017 tour dates. 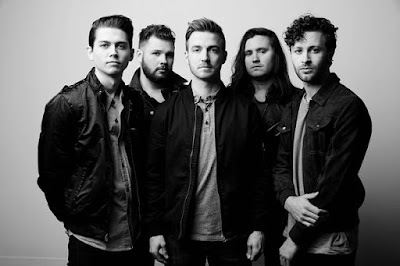 LANCO continues to deliver fans new music as they ready their debut album expected this year with famed producer Jay Joyce (Eric Church, Cage The Elephant). LANCO’s EP, released in 2016, has notched an impressive 27 million streams to date. Fronted by its namesake Brandon Lancaster (lead vocals, guitar) and with Chandler Baldwin (bass), Eric Steedly (lead guitar), Jared Hampton (keyboard, banjo) and Tripp Howell (drums), the next single is just weeks away from delivery.